The past decade has seen the rise of a new generation of independent animators in Japan. In opposition to the dominant anime style associated with the country, innovative young artists are practising a wide range of animation techniques including stop motion (Tomoyasu Murata, Maya Yonesho, Hideto Nakata), collaborative animation (Tochka, Rinpa Eshidan), installation art (Takashi Ishida, Tabaimo, Mami Kosemura), charcoal animation (Naoyuki Tsuji) and other experimental styles (Mirai Mizue, Kei Oyama, Atsushi Wada, Mika Seike). Their rise has been so meteoric that international film and art critics have hardly begun to evaluate the cultural significance of their work. This is partly due to a lack of availability of the films overseas. Animated shorts tend to make a tour of the festival circuit, but then are not seen abroad again for years. To remedy this situation, the animation critic Nobuaki Doi of the blog Animations: Creators and Critics and some prize-winning alternative animators (Mizue, Oyama, Wada, and Tochka) decided to band together and start their own DVD label. Their goal is to make their own work and the work of their peers available both domestically and internationally for the first time. There are many reasons for this sudden swell of artistic output. To being with, high quality scanners and computer editing software have made it more time efficient and cost effective for animators to work independently. There has also been a significant rise in the number of animation courses on offer at post-secondary institutions. Masahiro Katayama at Tama Art University alone has been responsible for introducing many of his graphic design students to world animation including CALF founder Mizue, Kunio Kato, the Oscar-winning director of La maison en petits cubes (2008) and Akino Kondoh, who was selected as one of the Top 25 international artists for the Guggenheim Museum's YouTube Play: A Biennale of Creative Video (2010). In addition to the program at Tama Art University, aspiring animators can be taught by a diverse array of innovators including Takashi Ito at Image Forum, Koji Yamamura at Tokyo University of the Arts, Keita Kurosaka at Musashino Art University, and Keiichi Tamaami and Nobuhiro Aihara at Kyoto University of Art and Design. One can even take workshops held by legendary art animation pioneer Yoji Kuri at Laputa Art Animation School. Koji Yamamura in particular has been an instrumental figure in terms of bringing awareness to world animation in Japan through not only his teaching, but also his blog Shirarezaru Animaton / Unknown Animations, through his International Art Animation Index DVDs, and his instrumental role in bringing alternative animation to Japan - such as the Karel Zeman exhibition in Aichi last spring. Yamamura also worked with Doi to get the Animations: Creators and Critics website off the ground in 2006. Upon graduation, one of the biggest challenges facing the independent animator are funding and making their work accessible to a wider audience. There is little financial support from state or private institutions for independent animation artists in Japan. Stop motion and hand drawn animation are very time consuming arts, and most animators have to take on other work (CM, illustration work, studio jobs, teaching, etc.) in order to fund their passion. Some animators share their work on video streaming sites, but this brings little cash reward. Most DVD labels are reluctant to invest in alternative animation only appeals to a niche audience. Well-established artists, both foreign and domestic, do have more representation on DVD in Japan than in other countries around the world thanks to the work of labels like Geneon, Broadway, Studio Ghibli and Columbia. For example, there are more Czech animations available on DVD in Japan than in the Czech Republic itself. However, few labels of these major labels are willing to take the financial risk of backing less established animators. The founding members of CALF have reached deep into their own pockets to get their label off the ground. It's a true labour of love, grounded in their desire to get their work seen in a format that will appeal to connoisseurs of world animation (high quality image, English menus and subtitles, etc.). Their choice of the English word "calf" as the name of their label is deliberately ambiguous. The logo itself reflects this ambiguity because it resembles more of a sheep than a calf. Designed by Atsushi Wada - who uses animals as motifs often in his animations - the symbol conveys both their youthful naïveté and brash courage in taken on such an endeavour. The first few DVDs released by CALF are all artists who have been instrumental in the creation of the brand. Although they share a collective innovative spirit, each of them have very different individual aesthetics. The first two DVDs available at the launch of the label in 2010 featured the work of Mirai Mizue and Tochka. In late December, CALF released a collected works of Atsushi Wada. Their next scheduled release is of the complete works of Kei Oyama. Mirai Mizue first made a name for himself with his debut hand-drawn animation Fantastic Cell (2003) which he made as a student at Tama Art University. It features his distinctive "cell" animation technique (not to be confused with "cel animation") of using an organic cell as the basic shape for his abstract designs. The cells sometimes swim along like amoebae, or they join together to form the most fantastical creatures. Like the work of Norman McLaren or Oskar Fischinger, there is also a direct relationship between music and movement in Mizue's work. His experimentation with cells reached a peak with his film Jam (2009) where the cell creatures multiply and increase in movement along with the increased volume and tempo of the music until they literally jam-pack the screen. A true innovator, Mizue experiments with a range of animation techniques including geometric animation and water-surface animation (animating the movement of aqueous ink in water). The DVD includes an interview with Mizue that delves into his aesthetic methods and theory. Tochka - the collaborative art team Takeshi Nagata and Kazue Monno - have earned international recognition for their PiKA PiKA (lightning doodle) animations. Their films are like visual journals of the places that they have travelled to and the people they have met on those journeys. Participants are given coloured lights that they use to draw repetitively in the air. The light movements are filmed using a long exposure camera. When played back at normal speed, the results are magical: a kind of ephemeral graffiti. The DVD includes behind-the-scenes footage and stills and one of their early, non-PiKA PiKA animations. In addition to this, the insert provides instructions for amateurs interested in making their own lightning doodle animations. Atsushi Wada's surreal, hand drawn animation has fascinated and bewildered audiences in equal turns at international festivals over the past few years. Most recently, his film In a Pig's Eye was awarded Best Film at the Fantoche International Festival of Animated Film. A very deliberate and intellectual animator, his work stands out because of its muted colours and repetitive character movement. Themes of his films include bullying, the pressures of society, and our relationship with animals. The CALF DVD makes many of his early works available to international audiences for the first time. Extras include a slideshow, "A smart experiment" and a featurette "The Making of Atsushi Wada." Kei Oyama's film Hand Soap (2008) won prizes at the Short Film Festival Oberhausen and the Holland Animation Film Festival during the past year. Dealing with a range of subject matter including deformity, death, and harassment, Oyama's are deeply disturbing yet strangely compelling at the same time. 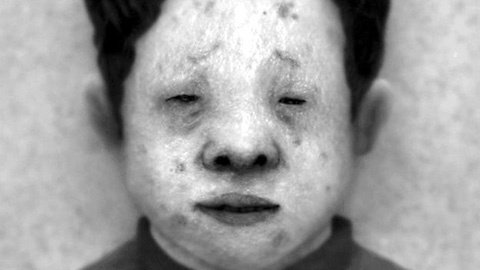 He experiments with using unusual textures to create mood, such as scanning his own flesh and colouring and editing it on the computer. The DVD of his collected works is hotly anticipated by fans of experimental animation. A release date has not yet been set. In the future, CALF hopes to represent many more up-and-coming indie animators and live action filmmakers. In an interview with Chris MaGee for the Toronto J-Film Pow-Wow, Nobuaki Doi mentioned the likes of Isamu Hirabayashi, Tetsuya Mariko, Ryo Okawara, Shin Hashimoto, Saori Shiroki, and Ayaka Nakata as being the types of directors they would like to represent. Fans of indie animation are also hopeful that CALF might consider representing the work of older artists whose work is screened rarely overseas like Nobuhiro Aihara, Keita Kurosaka, and Reiko Yokosuka. The early animation of Yoji Kuri's Sannin no Kai peers Ryohei Yanagihara and Hiroshi Manabe are also long overdue for a DVD release. CALF has a minimalistic, easy-to-use website, which was designed by the talented young Kyoto animator Aico Kitamura. The website, shop, and products are fully bilingual Japanese/English. These DVDs have been made with both domestic and international audiences in mind and have high quality English menus, extras, and subtitles. Another perk for alternative animation fans is that the CALF animators have been presenting their work collectively at a number of international festivals during the past year including the Ottawa International Animation Festival and Zipangu Fest in the UK, as well as attending Nippon Connection in Frankfurt in April 2011.